When choosing a Dutchiz dog collar it is important to know which size collar you need. We measure our collars from the inside of the end of the buckle to the middle hole. Place the collar that you are currently using on a flat table. Place a measurement tape from the end of the buckle to the hole you are now using. You now have the size you need. 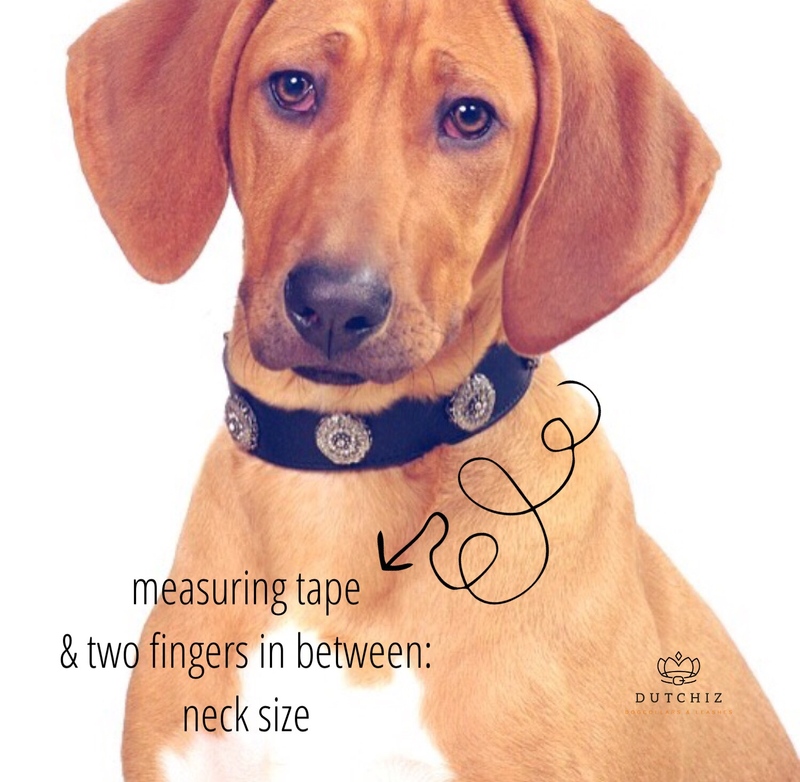 For example, if the measurement is 42 centimeters, you choose a Dutchiz collar with size 42. 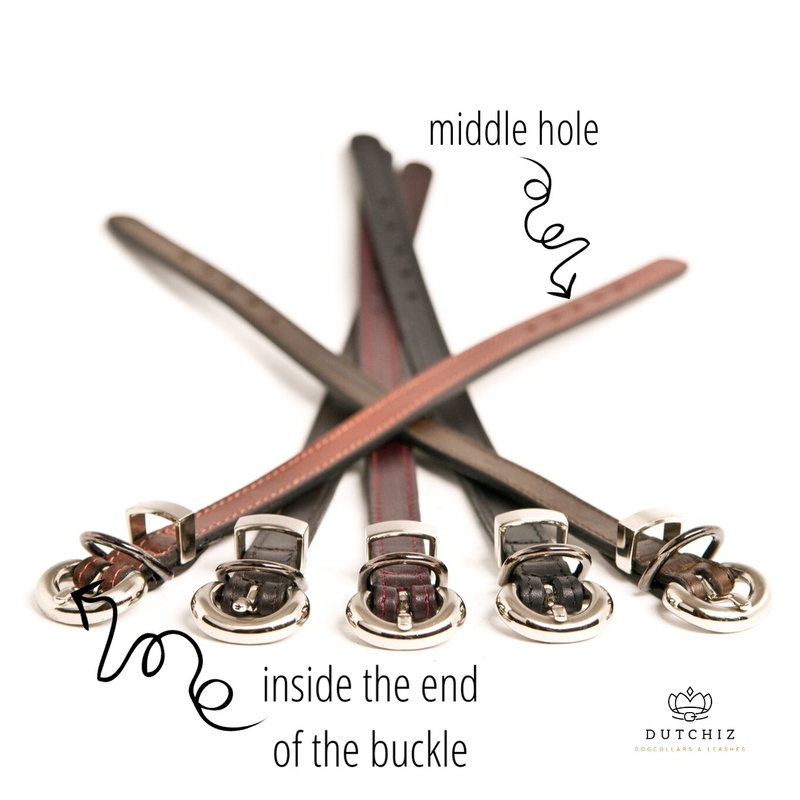 The Dutchiz collar will be 42 centimeters at the middle hole. So there is always the possibility to wear the collar a little larger or smaller. This picture shows how I measure the collar. From the buckle to the middle hole is the size of Dutchiz. Another way to get the right size is to measure the neck size of the dog. This can be done by placing a flexible measuring tape around the neck of the dog at the place where the collar is worn. Make sure you can put two fingers between the neck and the ribbon. You now have the size you need.